The twenty-first century has commenced with many health challenges, and as our lifestyle continues to change, the challenges will be greater. 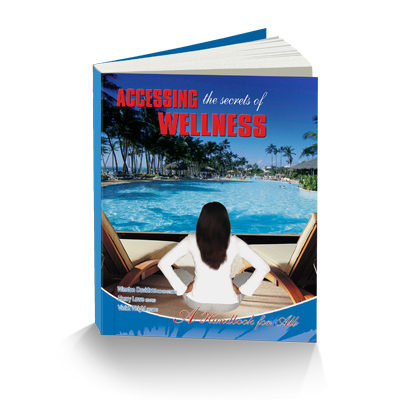 The areas of wellness that are discussed in this handbook will continue to impact on our health and well-being, despite the many technological changes of this millennium. The authors of this book share with you a very wide perspective on nutrition, exercise, stress, safety, environment, spirituality and also tips and techniques for healthy living. A full understanding of these wellness topics should help you to meet the challenges of the times. It is our hope that you find something that inspired you to practice or continue to practice habits that will guarantee your optimum health. Finally, this handbook is only a guide, not a prescription. Keep it with you and be guided by its principles. Make a pledge with yourself that you will continue to choose and practice healthy habits that will definitely be of benefit to you now and in the years to come. Remember, your health is your wealth, so invest in it at all times! Dr. Winston Davidson is an authority in the medical field, specialising in public health and telemedicine. Dr. Davidson received his training from the University of the West Indies (UWI) and pursued further studies at Liverpool School of Tropical Medicine, University of Liverpool (Diploma in Tropical Medicine & Hygiene). Dr. Davidson has served on numerous boards including Tele-Medicine Limited, Jamaica Anti-Doping Commission and the Bureau of Standards Jamaica. Professor Davidson is married to Dr. Sonia Davidson nee Lambie and has three daughters: Dr. Tamu Davidson; Dr. Chima Davidson and Donna Davidson.